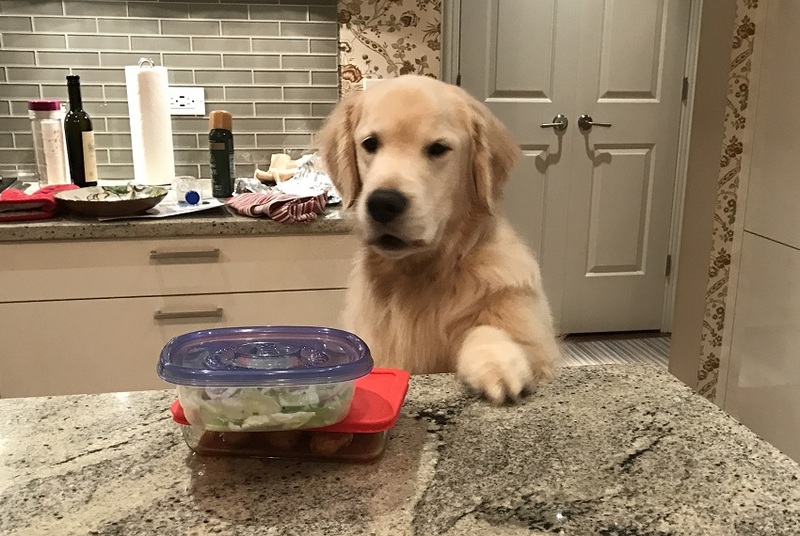 My golden retriever, Gatsby, loves meatballs and tacos. We have this every week in our house. I always make him a few by combining unseasoned ground chicken, turkey or bison meat with some finely chopped zucchini. You can bake these at 400 degrees in the oven for 15-20 minutes. Add in the tortillas in the last 10 minutes.